That’s the essence of what atheist blogger Staks Rosch is getting at when he wrote a piece for the Huffington Post called “Dear Pope, Atheists don’t need redemption”. I don’t believe humans are evil sinners in need of redemption. 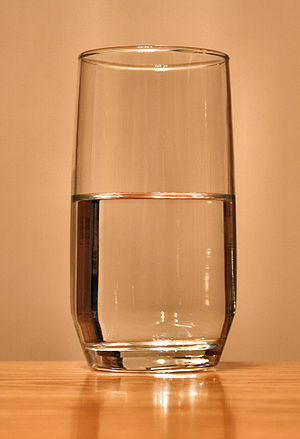 I don’t see the glass as half empty. I think people are more nuanced than that. We do good things and we do bad things. First of all, let me write that I would dearly LOVE to agree with Staks. In fact, for many years I was onside with his main points. And it’s hardly a stretch to say that yes, we do good things and bad things. Simply put, I came to ask these questions: what do we do about the bad things we do? And what do we do about the good things that we FAIL to do? I’m not talking about destroying skyscrapers or failing to stop genocide – for most of us, such “sins” are as relevant as contemplating life on Mars. I’m talking about when I’m blatently insensitive to my wife or find an excuse not to help a friend in need because it makes me uncomfortable. And to that point, I have to sadly disagree. Cash-strapped western governments cutting social services, but propping up banks. Staks Rosch doesn’t face this truth in his blog. But lots of people do face it. And some of them, like me, decide to follow Jesus Christ – whom genuine Christians, and many others, believe is the son of God – because we need REAL, PERMANENT good news. The good news is by believing that Jesus sacrificed his life to wipe out the bad things we’ve done and the good things we’ve failed to do, we also welcome Him to change us. To make us more like him. And, if you believe life goes beyond 70 or so years on this planet, then that good news is permanent. When I’m done with this life, I’ll face God’s judgement. And I’ll come through that judgement scott-free because of what Jesus did for me. He can do it for you, too. So, what do you think? Post your thoughts below and let’s have a conversation.